UK-based legal bot, Elexirr, has said it still hopes to go ahead with its planned £5m ($6.54m) Initial Coin Offering (ICO) to help fund its business, though because of the current global regulatory backlash against this type of funding it is now considering its options. Elexirr, formerly known as LawBot, has recently branched out beyond helping consumers with criminal law matters and moved into areas such as litigation outcome prediction and providing automated BD capabilities for commercial law firms. To help fund their planned growth the former Cambridge University law graduates are seeking to raise £5m in funds via an ICO, rather than go through a traditional seed funding process that would dilute ownership. The challenge is that China, Hong Kong and the US have now classified ICOs as in effect an IPO, i.e. the sale of securities, (see recent story here). China has also banned ICOs and the conversion of digital currencies via an exchange. Given that Chinese investors have become one of the largest groups to put money into ICOs this is a challenge. Moreover, given that Elexirr seeks to operate globally, these restrictions and the potential to get tangled in future securities law investigations are a hazard they will have to make some tough decisions about. 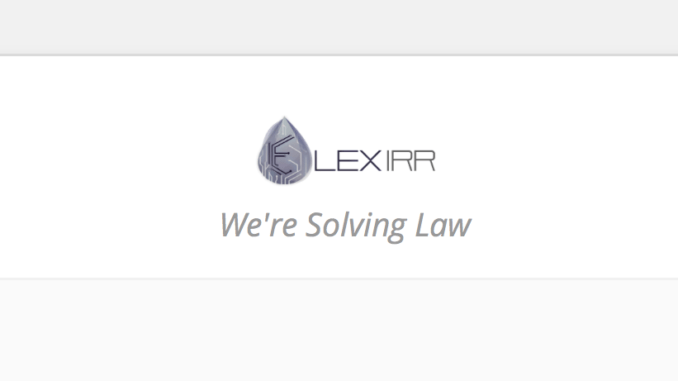 Jozef Maruscak, Operations Director at Elexirr, told Artificial Lawyer that the start-up’s ‘default position’ remained focused on completing the multi-million pound ICO, which would also create a ‘coin’ or ‘token’ specific to the company, which law firms could then utilise to pay for its services. If Elexirr does decide to abandon the ICO it will leave Estonia-based smart contract developer, Agrello, as the only legal tech company to conduct an ICO. It could also act as a message to the rest of the legal tech market that this route to funding is closed, at least until greater legal clarity can be achieved as to the risks of conducting an ICO. Legal risk is especially important given that the two largest economies in the world now see ICOs as in effect an issuance of securities, which brings with it a significant regulatory burden. That said, at present the UK Government, the Bank of England or the FCA financial regulator, have not made an official position on ICOs clear and certainly have not said they are against ICOs. Moreover, there is no reason why the company cannot take traditional investment funding now, then later conduct an ICO, though presumably external investors may complicate that decision-making process, given that any seed fund may want a say in such a move. Watch this space.